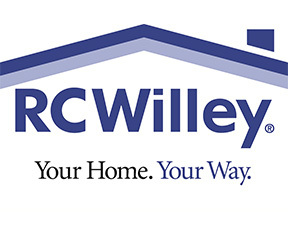 RC Willey is your one-stop shop for everything home. With 7 locations in Utah: Draper, Murray, Orem Mall, Riverdale, Salt Lake City and Syracuse, 2 locations in Las Vegas: Henderson & Summerlin, Nevada, and locations in Reno, Boise, and Sacramento. For over 80 years RC Willey has been recognized nationally for excellence. But our real goal is to have you recognize us as the number one place to find exceptional selection, value, superior service and professional associates that really care about you. You’ll recognize famous brand names that mean quality and lasting value. Broyhill, Flexsteel, Lane, Natuzzi, AICO, Pulaski, Schnadig, are just a few of the quality manufacturers we carry. Nobody has the vast furniture selection of RC Willey or the ability to deliver such a selection in just a few short days. Our founder, Rufus Call Willey, found his success specializing in home appliances. We want you to know that tradition remains in the forefront of our philosophy. Our stores feature the largest selection and finest names in reliability. General Electric, Whirlpool, LG, Maytag, Amana, KitchenAid and many others. In our Home Electronics department you’ll find a huge selection of flat panel televisions, DVD and Blu-ray players, home audio systems, computers, camcorders and much more. You will find some of the finest brand names including Sony, Mitsubishi, Toshiba, LG, Samsung, and others. We carry everything from the newest state-of-the-art products to models designed for the budget-minded consumer. Our mattress department features more name-brand merchandise than you’ll find anywhere. Serta®, Spring Air®, Simmons® and Tempur-Pedic® can all be found at one of our stores. Not only will you find your dream mattress, but we’ll even pick-up and remove your old bedding for free! How can RC Willey make this all so affordable? Our distribution warehouses are local. With miles and miles of merchandise and thousands of pieces that come in and out every day, the benefits of our immense buying power are passed on to you our customers. RC Willey Credit Card Customer service is an important RC Willey tradition and so is our RC Willey Credit Card. We carry all our own accounts, approval is instant and you deal directly with us. We offer several different financing plans making it easy and affordable for you to make “Your Home. Your Way”. Today at RC Willey, we promise to bring you the world’s finest merchandise at the absolute lowest prices. RC Willey is owned by the investment giant Warren Buffett of Berkshire Hathaway. Adding the buying power of the other home furnishings stores he owns across the nation, our huge buying power guarantees the lowest price on name-brand merchandise.